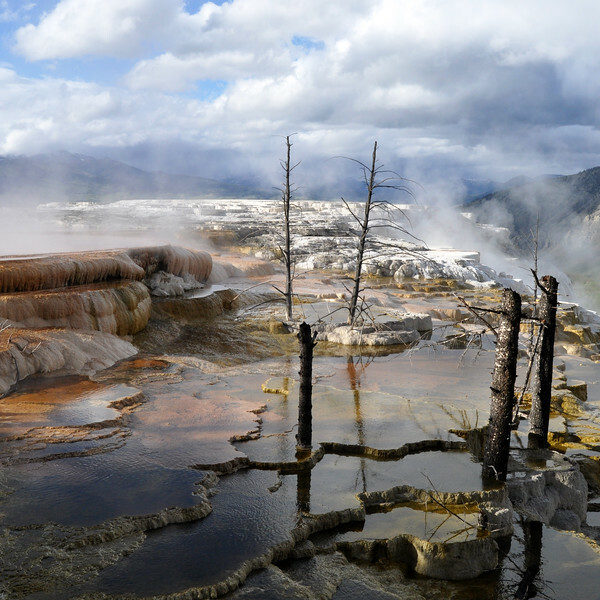 Just after sunrise an overnight rainstorm had just ended and the clouds had begun to break up. 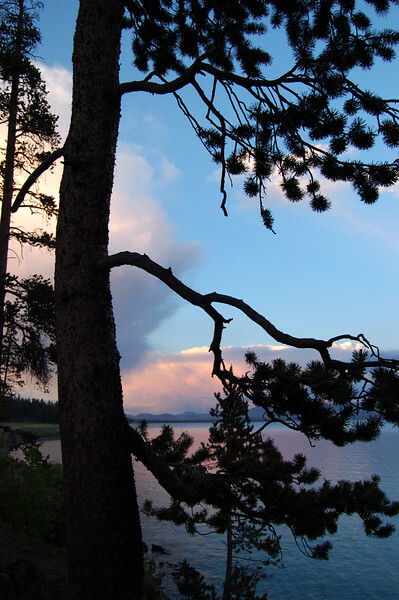 After sunset glowing thunderheads are viewed across Yellowstone Lake through the silhouette of a lodgepole pine tree. 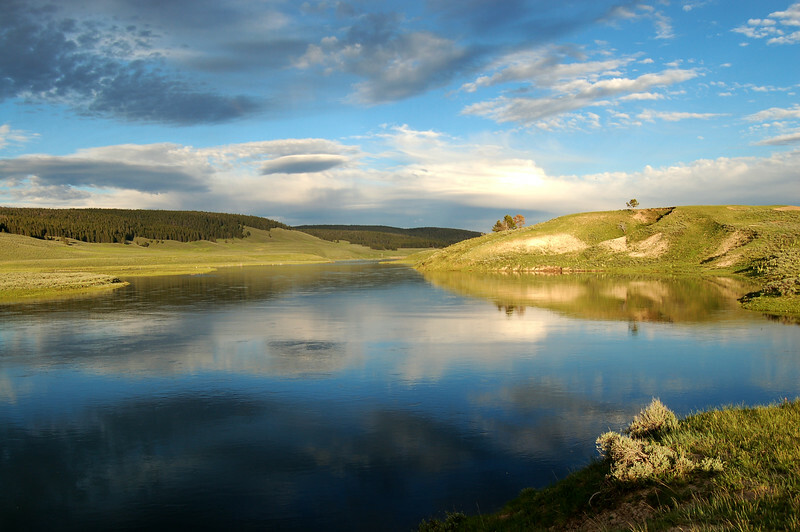 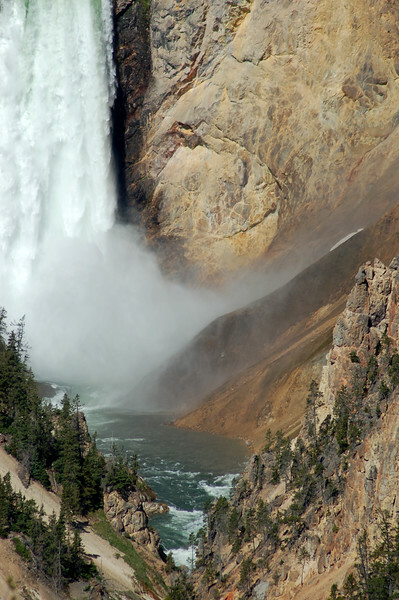 The Yellowstone River crashes several hundred feet down into the canyon raising quite a stir of mist. 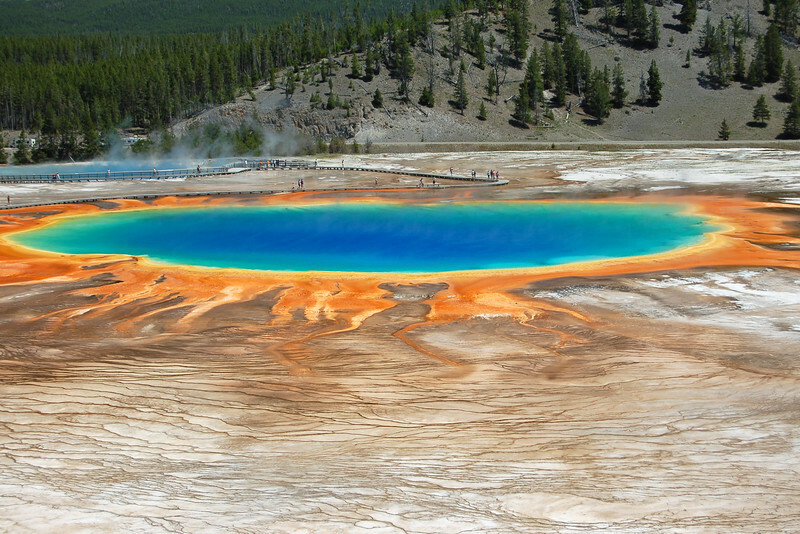 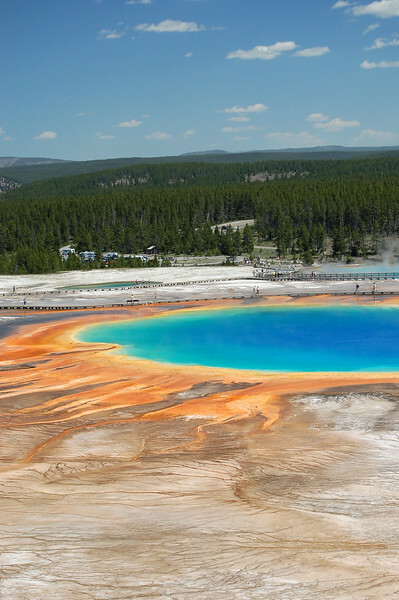 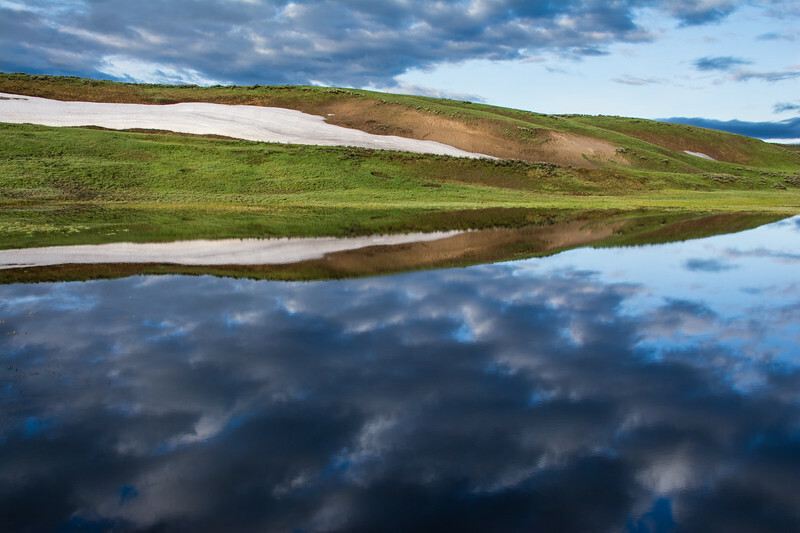 Grand Prismatic Spring is one of the largest hot springs in the world ... and surely one of the most beautiful. 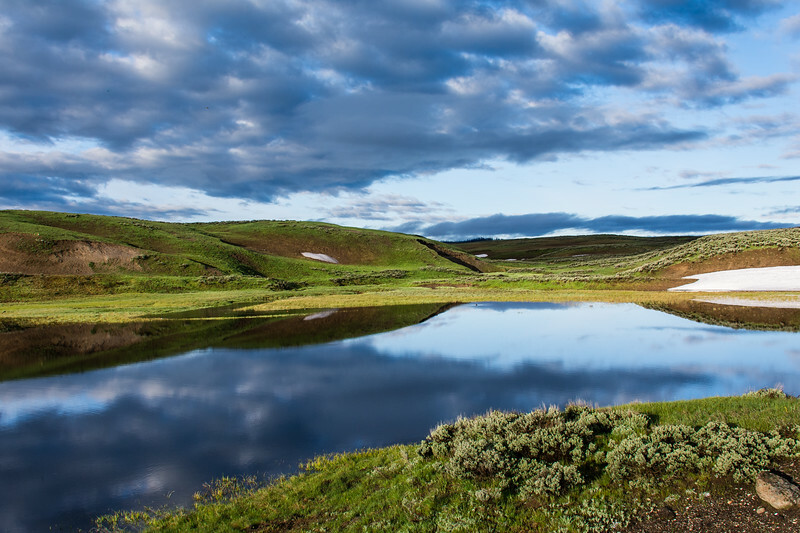 Its full beauty can best be taken in from atop the nearby hills. 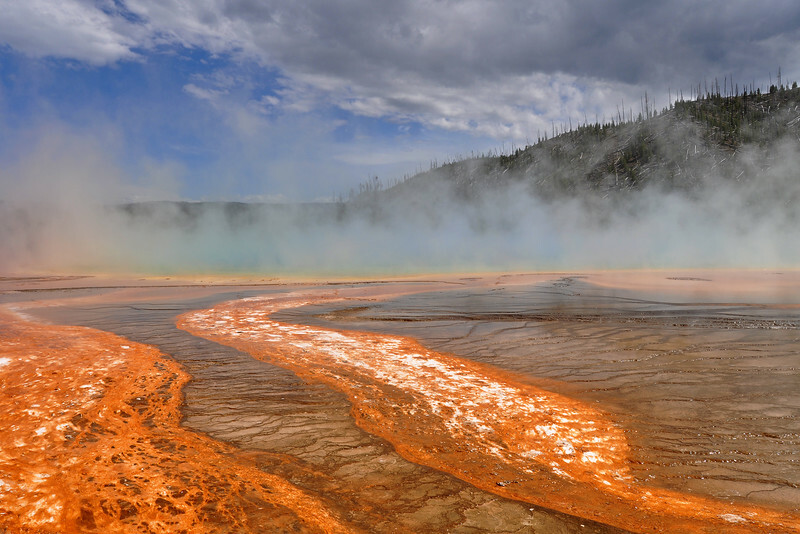 Grand Prismatic Spring produces some of the most vividly colored bacterial mats in its outflow streams of any of the springs in Yellowstone. 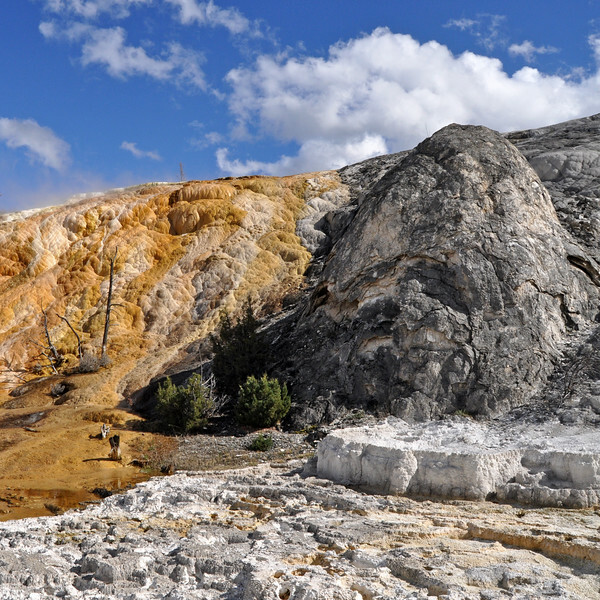 At Mammoth Springs in Yellowstone NP. 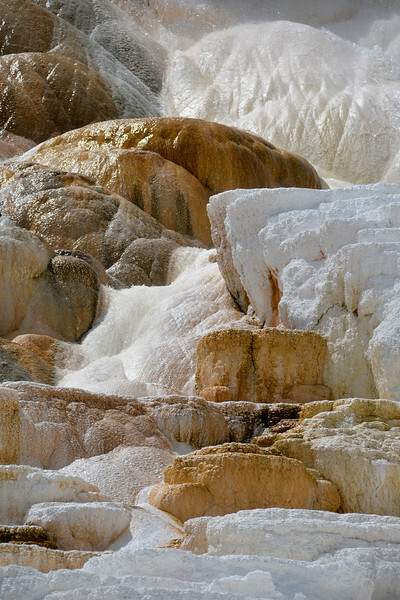 The points at which the hot water gushes out on this mound change frequently. 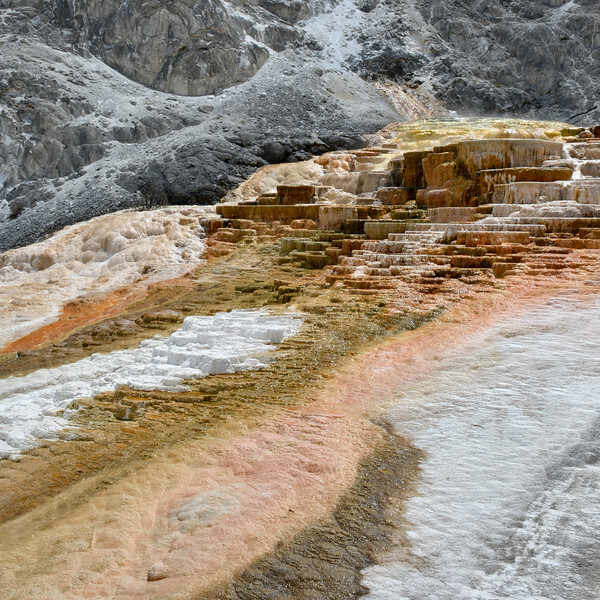 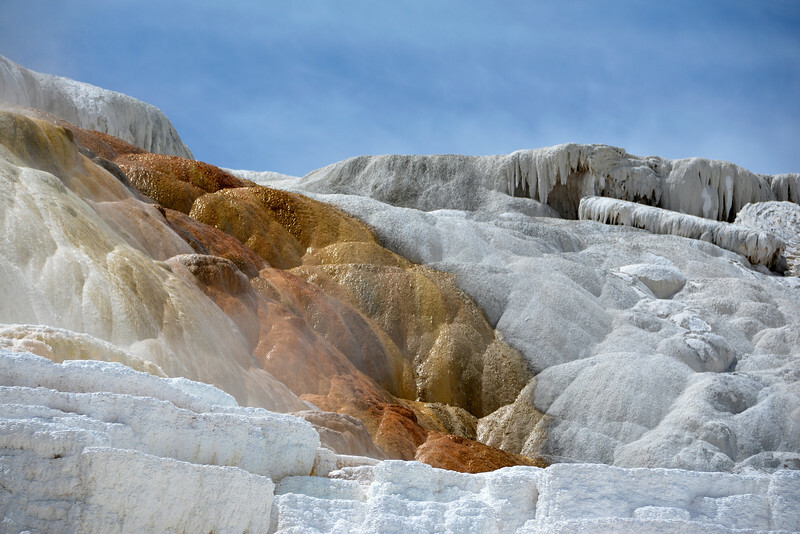 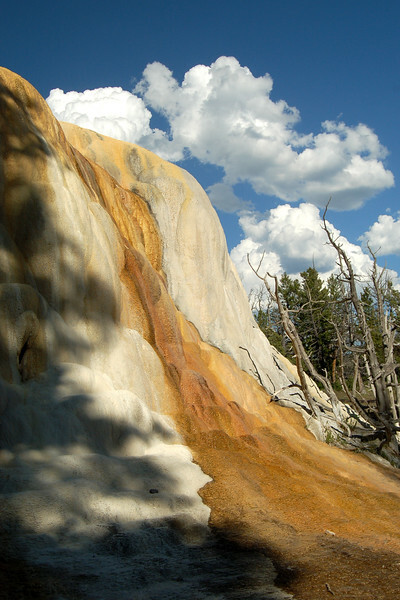 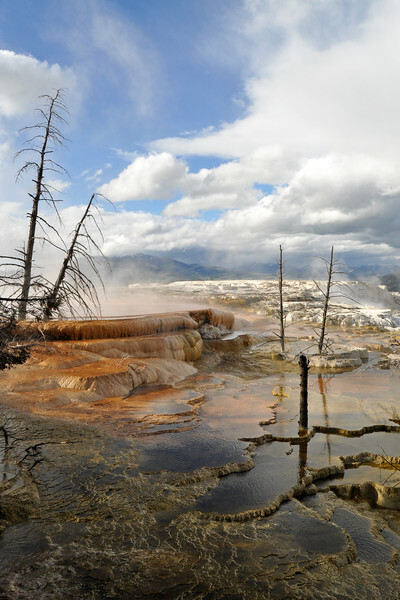 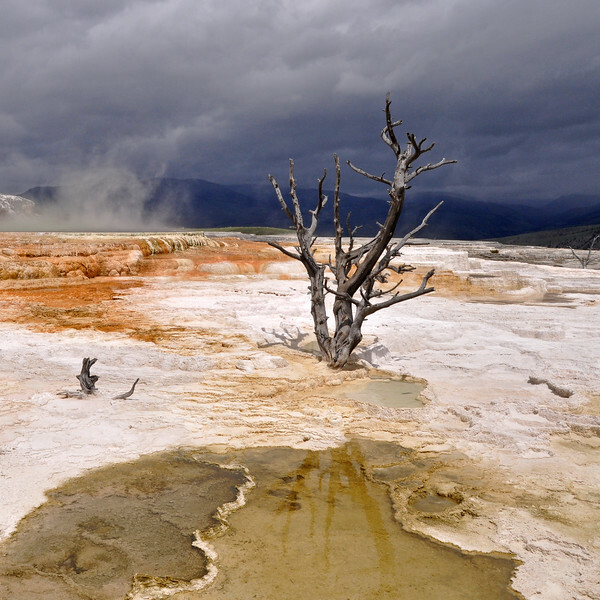 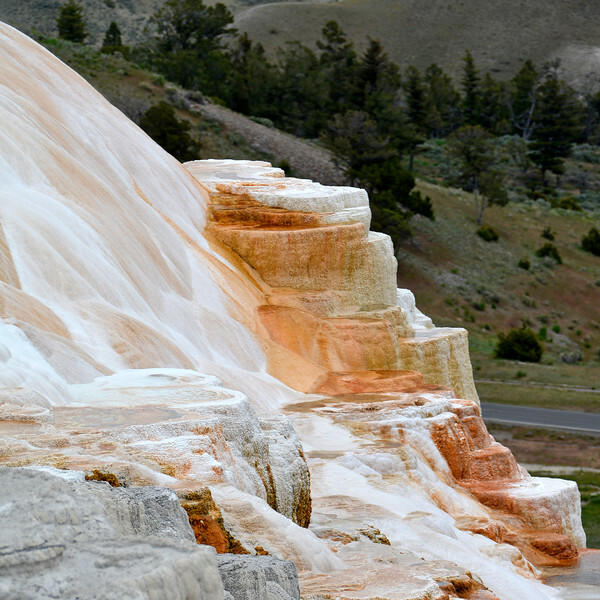 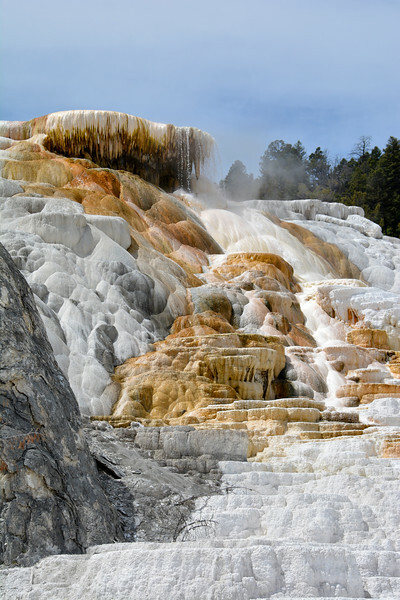 And where the hot water flows, the calcite is laid down and the orange bacteria thrive.